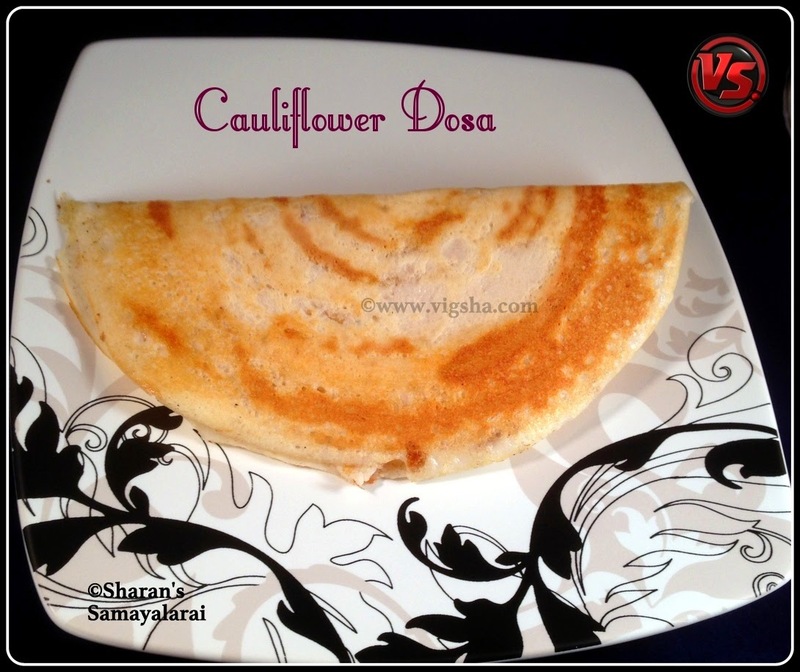 Cauliflower Masala Dosa is simple, easy but tastes heavenly. It is definitely a good variation from regular dosa. I am nothing without YOU !! You are one person in this world whom I can completely trust and I know you will never let me down. May you always be healthy and happy !! 1). Cut the cauliflower into florets. Boil water with a tsp of salt and turmeric powder. Immerse the florets for 10 minutes. Drain the water, mince it and keep it aside. Grind the cashews to a smooth paste and set aside. 2). 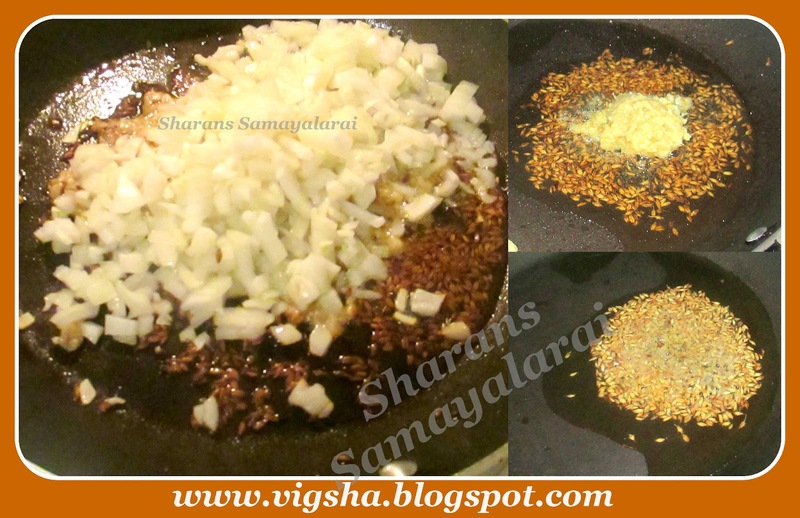 Heat oil in a pan, add jeera and let it splutter. 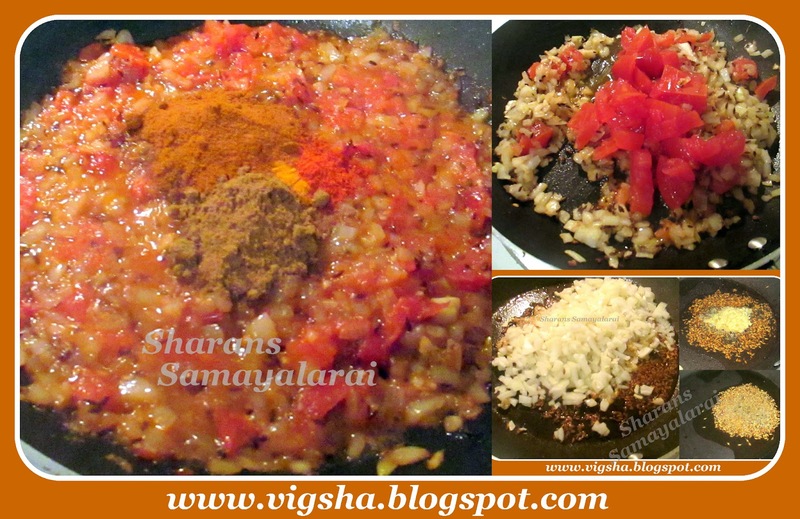 Then add onions, curry leaves and saute til onions turn translucent. 3). Then add chopped tomatoes, turmeric powder, chilli powder, coriander powder, garam masala and salt needed. Saute till tomatoes turn mushy and raw smell leaves. 4). Now add the cauliflower florets, cashew paste and cook till tender. 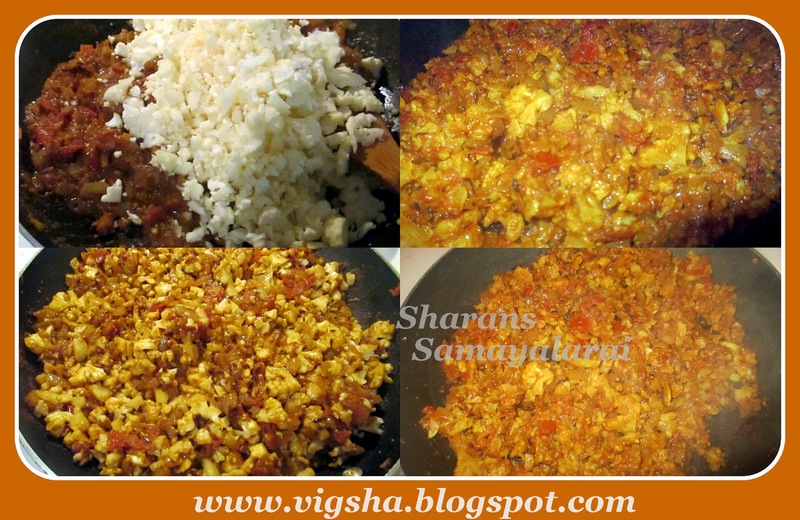 Switch off the flame when the stuffing becomes thick and florets blends well with the masala. Check for salt and keep it aside. 5). Heat a tawa, pour a ladleful of batter onto the center of the tawa and start spreading the batter. Make thin dosa and drizzle a tsp of oil around the dosa. 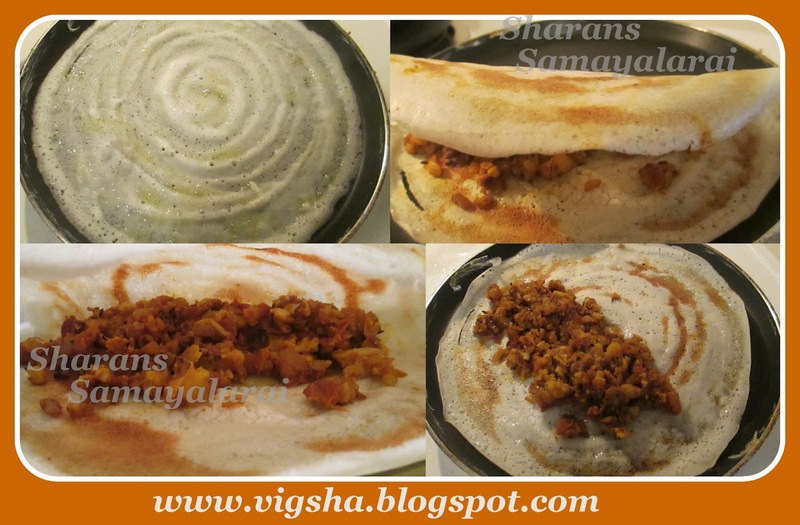 Using a flat spatula flatten the dosa so that it forms a very smooth layer. Wait till the bottom becomes crisp, when it turns golden brown, simmer and place 2-3 tbsp of the gobi masala. 6). Fold in half, remove from tawa and transfer to plate. Serve hot with any chutney of your choice. Enjoy !! # The stuffing should be dry. # Do not flip the dosa as it will reduce the crispness. # Spread the dosa only after the pan gets heated. First spread the batter and then drizzle oil. If you grease with oil first, its not that so easy to spread the dosa evenly/smoothly. # Cook dosa in medium flame to make the dosa crisp. # Cashew paste is optional, but it will enhance the taste. # You can use the leftover filling for bread toast too. 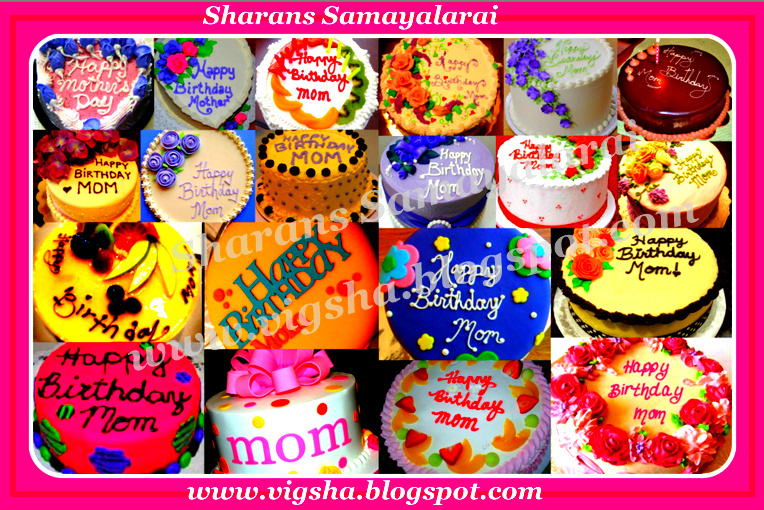 Birthday wishes to ur mom! Wish to start my day with this dosa, birthday wishes to ur mom. Best wishes to your MOM and great way to celebrate!